Tasmania is certainly a rising star within the landscape of the whisky world. Evidence of this is the upcoming visit to Hobart by a man who can be aptly described as one of the world’s few ‘celebrity distillers’. This is none other than the incredible Jim McEwan, head distiller for the ground-breaking Bruichladdich Distillery. 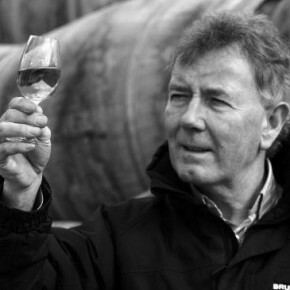 Jim McEwan has been in charge of the spirit created at Bruichladdich since its reopening in 2001 and has been instrumental in acquiring the ‘progressive’ reputation of the distillery. Using different barrel types, aging processes and, occasionally, the most heavily peated malt the world has ever seen, he continually creates revolutionary whisky. Jim’s experimentation has not gone unrecognised; he is the only man to have been crowned ‘Whisky Distiller of the Year’ three times. The event is to be on Thursday the 9th of October and is already sold out; this is to be expected from an event of this nature. But if you’re curious to find out what he has to say, fear not – as Whisky Waffle’s own Nick Turner will be there to learn from the master. Expect a blog post at the end of the week sharing some of the secrets and magic revealed by Jim on the night. If you have any questions you would like Nick to ask Jim, write them in the comments and he will endeavour get you some answers!